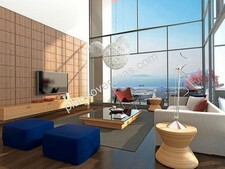 Place Overseas is your best source for property in Turkey. Whether you are looking for luxury Istanbul real estate or a beachfront Bodrum property, we work with the best Turkish properties and negotiate the best prices for our client, YOU. International real estate is all that we do and we are very good at it. Once we understand your requirements, we evaluate the marketplace and deliver a list of potential properties to you. Perhaps you are looking for a holiday home in Turkey and earn rental income from your property when you aren’t using it. May be you are simply looking for a safe, but positive real estate investment. Whatever your needs, we will find the right Turkey property you’ll love. Please browse our listings for the best Turkey real estate and properties in hot real estate markets such as Istanbul, Bodrum, Fethiye, Kalkan and Antalya. Just give us your wish list and we will go to work on your Turkish property investment. Antalya real estate is your sure winner if you want to play a round of golf, relax on the beach, then go skiing, all in one day. Antalya is known for its temperate climate and proximity to multiple attractions. 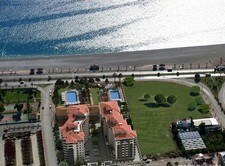 Antalya property owners are enjoying the boom in tourism and population as home prices and rent rates are climbing fast. For investment, head for seaside luxury apartments in Antalya Konyaalti or Lara and a select number of properties in Side. If you are looking for a lifestyle purchase or a permanent address in Turkey, then within an hour of the city's international airport is ideal to buy real estate in Antalya. At sunset, standing on the terrace of your luxury Bodrum property, you’ll understand why this peninsula has incredible appeal in any season. You’ll watch as the glowing sun disappears into the sea, illuminating the marina and its busy waterfront seafood restaurants and taverns. Your Bodrum real estate in Yalikavak will double up as your dream home in Turkey and your prime investment that returns year after year. There are no bad views in Bodrum and it has been named the “St. Tropez of Turkey,” by the New York Times and The Guardian. Hot sand, clear warm water and 300 days of sunshine mean your property in Fethiye will easily become your year-round home in Turkey. With hotspots like Oludeniz’s Blue Lagoon, bustling promenades, lively markets, Kayakoy's ghost town, ancient catacombs and glorious cherry blossoms, Fethiye properties are within reach of hundreds of Turkey’s most amazing attractions. Holidaymakers are clamouring for summer homes in Fethiye so a buy-to-let apartment or villa for sale in Fethiye is also a fantastic option. Kalkan is known for its breathtaking access on Turkey’s Turquoise Coast. Kalkan real estate is a must for those who enjoy life’s luxuries, including modern design surrounded by beautiful ocean views, the finest dining and great wine. Property in Kalkan includes luxury beachfront homes and villas, its reputation for exclusivity is second to none. Kalkan rental properties command high rents, bringing investors high returns, year after year. Perhaps you’ll “settle” for a stunning holiday residence near Patara or Kaputas beaches and allow renters to pay for your holidays in the sun? Buying Istanbul real estate puts you directly in the pathway where East meets West. Prime Istanbul property is surrounded by ancient tourist destinations, including the world famous Blue Mosque. You’ll also love shopping in the lively bazaars and modern malls. Real estate in Istanbul is available in prime locations on both sides of the Bosporus and you can pick from many “hands off” Istanbul investment properties with incredible views and excellent rental incomes. Call or email us today so we can begin finding the perfect Istanbul property for you. We had been talking about buying a property in Turkey for some time and after a couple of conversations with Cameron we decided this was the right thing to do. He and his team have been very supportive through the buying process. We were so impressed with it all we have recommended our friends to Place Overseas, they are now travelling to Turkey in October in order to purchase a holiday home in Bodrum.